Why is the BMI Used to Determine Overweight Risks? The body mass index (BMI), or Quetelet index was invented in 1830 by a man with the same name. That’s 185 YEARS AGO! 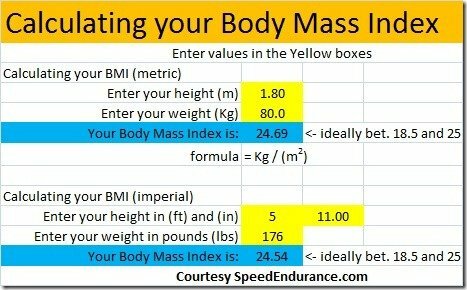 Simply put, the BMI is your weight (kg) divided by your height (in meters) squared. It can also be calculated by your weight (pounds) divided by your height (in inches) squared multiplied by a factor of 703. The BMI was an attempt to quantify and correlate the amount of tissue mass (epithelial, muscle, adipose, and bone) in an individual, and then categorize that person as underweight, normal, overweight, or obese based on that value. If your Body Mass Index is more than 40, you fall into the extremely obese category, putting you at much higher health risks than most. I feel the BMI needs to be adjusted for muscular athletes! At 1.80m tall and 80kg, it barely squeaks under 25, whether you are rock hard and lean, or have a big pot belly :) Anything past 80kg in muscle will give you a BMI higher than 25. 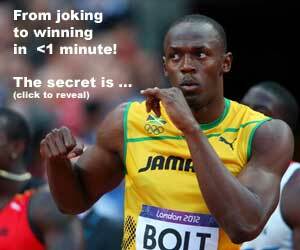 READ Speed Secrets? Don't Forget The Psoas!